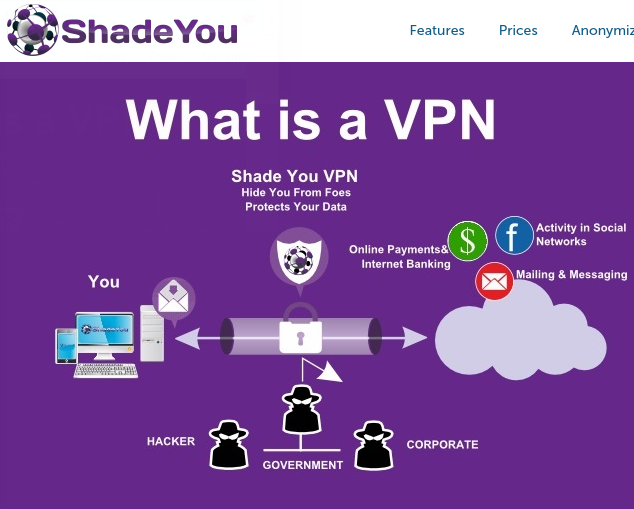 ShadeYouVPN has all the standard features you would expect from any good VPN service provider. With ShadeYouVPN you can connect using the usual protocols and can download custom software as well to make connecting a breeze. The service and fast and reliable. The thing that sets ShadeYouVPN from all the rest is the price! At $2.17/month (with yearly subscription) ShadeYouVPN is definitely one of the cheapest VPNs money can buy. Aside from this incredible price, you can connect up to 5 devices at once. That makes ShadeYouVPN the cheapest VPN I have seen for the price per device. If you just want to purchase VPN for a month to try it out, you are only setback $3.95. Better yet, you can try out ShadeYouVPN for free for a day. 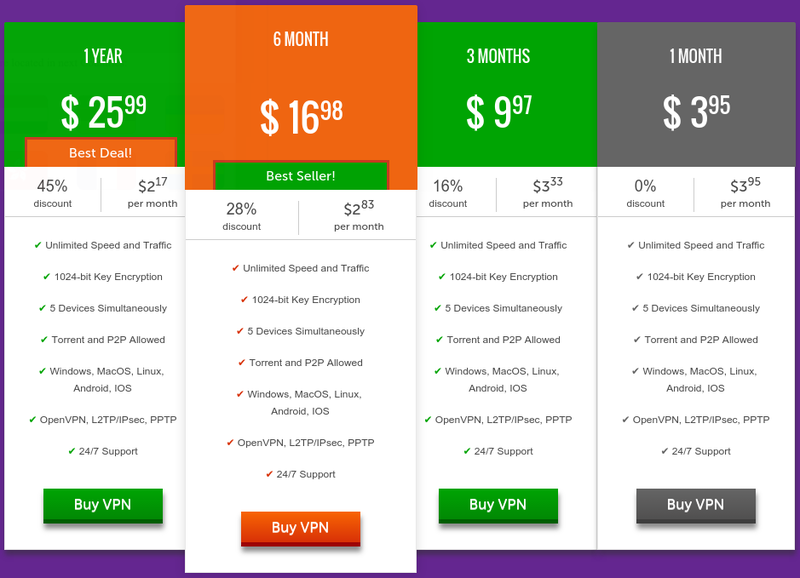 Once you have decided that you like the service, you can purchase VPN for a year for only $25.99. Many other VPN services cost $30 for just a few months. Although I really liked the VPN service, I feel that the website leaves room for improvement. The necessities such as downloads, tutorials, and service are easy enough to find. What was not easy for me to find was a list of server addresses. I did eventually find this list hidden in the tutorials. For those who don't need to follow a tutorial and just want the server list this could be an annoyance. The tutorials are basic and easy to follow. 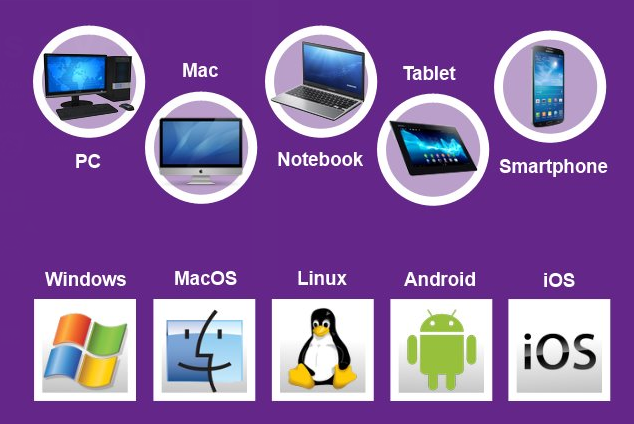 Instructions are available for the most common OSes and devices. 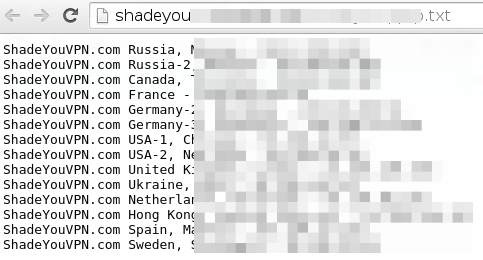 ShadeYouVPN provides email and chat support if you need help with your account. I was very happy with how easy it was for me to connect to the ShadeYouVPN servers. Living in China and using Linux usually means that connecting to VPN is a big bother and I have to try many different servers just for me to connect. With ShadeYouVPN this was not the case. I was able to connect to the first server I tried and I never had problems connecting or staying connected. I didn't notice any speed difference with ShadeYouVPN than I have for other VPN services I have tried. This is good news. That means if you chose ShadeYouVPN, then you are getting the same speed for a fraction of the price. I had no problems connecting or staying connected. ShadeYouVPN was very reliable for me every time I tried it. Allows you to connect five devices at once. Multiple payment methods including Bitcoin and Paypal. I had difficulty finding information and navigating on the website. No Linux or Mac software. Limited number of servers compared to more expensive VPN service providers. ShadeYouVPN is the cheapest VPN I have seen so far. If you are looking for something inexpensive, this is a fantastic service. It is reliable and fast. ShadeYouVPN is especially well suited for customers who are already familiar with how to use a VPN. Click here for a 24 hour free trial of ShadeYouVPN. To see a list of other VPN solutions and how they compare to ShadeYouVPN, please click here.